Both of these teams won in Round 1 last week, which means that one of these teams will be moving onto a perfect record after two games. The two teams are familiar with themselves and they last met two seasons ago. That was in the Top 16 and Lokomotiv grabbed a dramatic 85-86 win in Kaunas that time, which means that there will be plenty of tension and needle in this game. 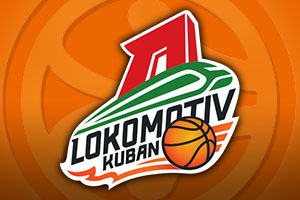 Mantas Kalnietis played for Lokomotiv for three seasons, helping them to win the 2013 Eurocup and he will be on familiar terms with most of the Lokomotiv squad. Paulius Jankunas is gunning for the 100 mark with respect to three pointers, and he is only five away. Renaildas Seibutis has shown tremendous form of late, scoring his last 22 free throws in a row in the Euroleague, and Kaunas will be relying on him to maintain that accuracy in this high-pressure environment. When it comes to Lokomotiv players with a bit of form behind them, Victor Claver has picked up a minimum of 1 steal in 10 of his last 11 outings in the Eurileague. He will be looked on to deliver again in Kaunas, but there will be plenty of Krasnodar players who are comfortable in their surroundings. Ryan Broekhoff, Dontaye Draper and Sergey Bykox have been team-mates with Zalgiris players over the years and of course, the Lokomotiv squad will need no introduction to Kalnietis, so this could be a game that takes a while to hot up. Of course, there are no friends in the opposition team with basketball, so all friendships will be on hold on Friday evening. 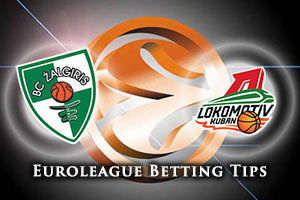 The home side are slight favourites so if you want to make the game a touch more interesting, take Lokomotiv Kuban Krasnodar with a handicap of +1, at odds of 1.90.There is also the Over/Under market to consider for this game and you should be looking to go OVER 146.5, at odds of 1.90, in this game. Bet Now!